Ronan, revealed as a legend on Maylin, a second invasion of earth looms. With his newly discovered power, Ronan must unlock the secrets contained in the orb left behind during the attack on Prynesse. Through the orb, Ronan discovers the Keeper who built the portal. A Keeper named Ruin who is every bit Ronan's equal. Ruin launches a mental attack that leaves Ronan crippled and doubting his ability to win. Ronan must work with his allies to find a way to control his power and defeat Ruin. Ronan's failure will end a way of life for two races and throw humanity into slavery. It's on the alien planet of Ickaret where Ronan must make his final stand. 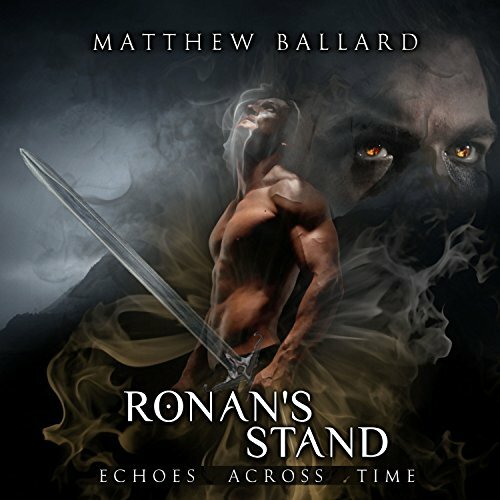 Ronan's Stand marks the fourth and final installment of the Echoes Across Time series.